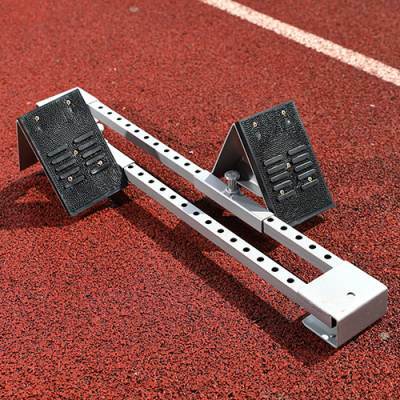 A necessity for all track meets, the Competition Starting Block is constructed of all steel components. Has a spring-loaded plunger for easy pedal adjustment and secure locking. Comes with spikes and spike wrench for use on all types of surfaces. Great for all types of tracks, the Competition is manufactured from all steel components and features a spring loaded plunger for easy pedal adjustment and secure locking. Complete with spikes for all types of surfaces.